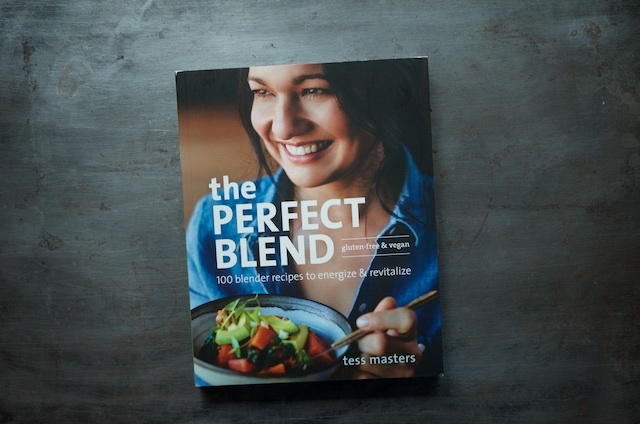 The third book by Tess Masters, The Perfect Blend combines colorful produce, health-promoting boosters, and your countertop blender to create appealing, flavorful food. I first met Tess Masters back in early 2013, when we were both guests on a Driscoll’s berries press trip. 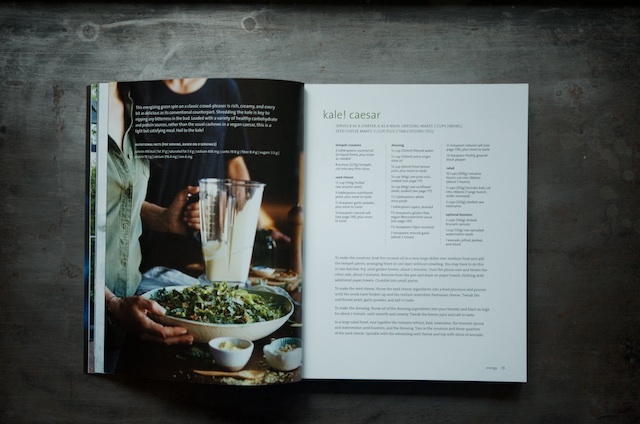 She was already The Blender Girl by then, but was just starting on her cookbook writing path. 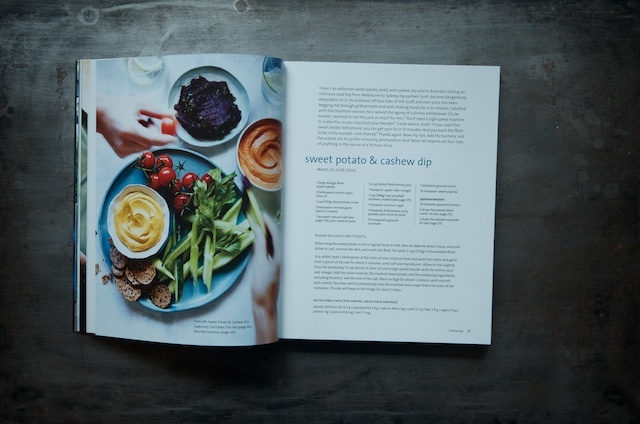 In the years since that first meeting, she’s written and published three cookbooks, the third of which came out just last week. 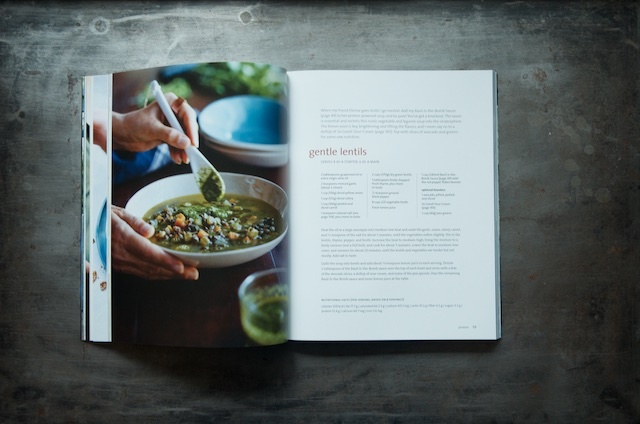 Called The Perfect Blend, this beautifully photographed book features 100 vegan and gluten-free recipes that all make good use of your countertop blender (don’t worry, it’s not just a book of soups and smoothies. There’s plenty here to crunch and chew). I always like inviting a couple of vegetable-focused books into my library at the start of the new year. I never hew particularly close to any one eating modality, but I always appreciate being reminded that there is a rainbow of produce out there and that there are so many ways to make it interesting and delicious. 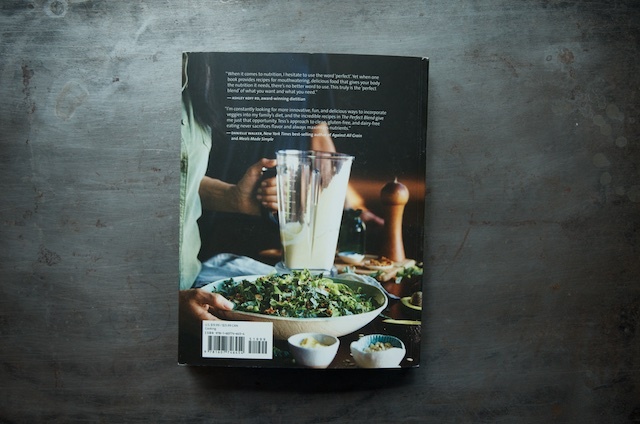 I’ve tucked nearly half a pad of sticky notes into this book by now, marking things like Kale Caesar (page 13), Cheezy Broccoli Soup (page 45), Sweet Potato & Macadamia Magic (page 97), and Thai Slaw (page 129). I do love a creamy soup made hearty and lasting with the addition of soaked and pureed nuts (I sometimes make this cauliflower soup and replace the cheese with cashew creme. So good!). I also appreciate the chapter dedicated to promoting probiotics. Tess includes a salad dressed with a vinaigrette that includes fermented tofu, and offers her recipe for a finely shredded ferment that includes cabbage, leeks, carrots, apples, and parsley. I plan on picking up the necessary ingredients today and giving it a try. My bottom line with this book is that it has inspired me to lever myself out of my regularly traveled cooking ruts and has me inviting more vegetables, seeds, and nuts into my kitchen. 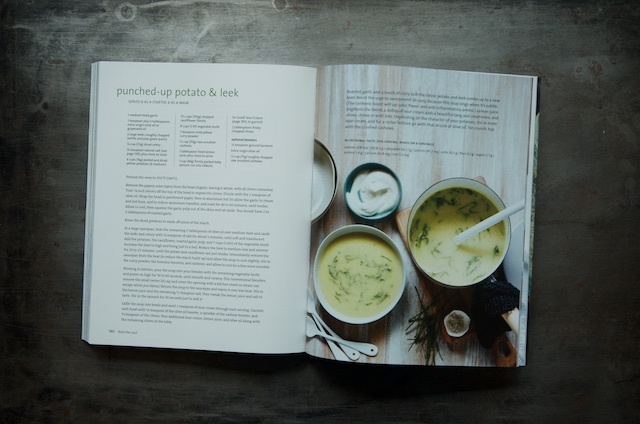 I’m looking forward to bringing a handful of the recipes to life. If you’re looking for a book to do something similar for you, I highly suggest you page through it next time you’re in a book store!